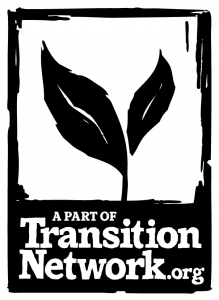 Even Playing Field: Net neutrality is critical for a number of reasons, and is of specific interest for those of us trying to spread information about permaculture as rapidly as possible. The internet has become the ultimate communication system and we need to keep access on equal footing. A decent overview of “what’s next” after this month’s problematic repeal in this piece by the New York Times. Seed Savers: On a recent camping trip I ran into my good friends Jude and Michel Fanton. Although they have more or less retired, they created the Seed Savers Network which does important work preserving heritage seeds. Their classic book, The Seed Savers Manual, is one of the best permaculture books I have ever come across. Worth checking out. Tire(d) Fence: Here is an interesting bit of recycling, upcycling, and reuse. A Universe Under Our Feet: “This cosmos is only now revealing itself as a result of scientific discoveries based on better microscopic imaging and DNA analysis. There is much still to learn, but it boils down to this: Plants nurture a whole world of creatures in the soil that in return feed and protect the plants, including and especially trees…The awareness of this biosphere should change the way gardeners think about cultivating plants and heighten everyone’s understanding of the natural world. In other words, don’t ever call it “dirt” again.” A well-written article that serves as a great reminder that we never really feed plants directly, but rather, we feed the the soil ecosystem that then facilitates a transaction that feeds the plants. A very different way of viewing plants and “mere dirt,” yes? PS: I’ll be starting another on-the-ground PDC in the next couple of days. 2 weeks later, we’ll be rolling out with our Permaculture in Action training. If you’ve done a PDC and would like to take things to the next level, feel free to check out the details here.